Fibromyalgia/Chronic Fatigue is a condition which shows itself through different symptoms. It is frequently diagnosed only after several other disease conditions have been ruled out. This disease is mostly diagnosed with a condition such that the person must have widespread pains in every part of the body for at least a duration of 3 months. This condition can sometimes be hard to comprehend. This is due to the sheer complexity of how it affects an individual because it presents itself in various symptoms with other types of diseases. It presents itself as chronic fatigue in which as a matter of fact looks a lot like chronic fatigue. Both Fibromyalgia and Chronic Fatigue make the individual suffers lots of tiredness and pain, thereby depleting efficiency and productivity of an individual both at work and at home. One of the characteristics of this condition is that the pain is not just confined to one area, it spreads through all areas of the body that feel pain. Most especially if the part of the body system includes tendons and muscles. Another characteristic Fibromyalgia and Chronic Fatigue is headaches along with back, neck and knee pains. The pain is unique to every patient that is every individual suffers the pain in different part of their body. Research made it known that patients with Fibromyalgia and Chronic Fatigue possess irregularities in chemical compounds, a high level of Cortisol and also abnormalities in neurotransmitters that transmit nerve impulses which results in hypersensitive nerves, and there is reason to believe that there is more reason to why they experience pain and this has been attributed to brain regulation and hormone process happening in the body. Redmond Chiropractic care is the key to solving this mystery. Redmond WA chiropractors can be very helpful in assisting the patient to regain their ability to lessen the pain and help them return to their normal way of life. 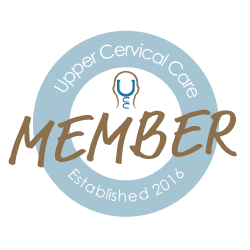 Upper Cervical Chiropractic Care is a treatment based on the concept that the normal bodily function is controlled and managed by the nervous system which is the principal system in the body. Redmond WA chiropractors are experts skilled at managing fibromyalgia and are experienced at working with the nervous system. Chiropractor Redmond WA doctors employ the use of a holistic method of treatment that is aligned with the body’s natural way of healing to treat this condition. A proper Redmond Chiropractic care can help patients avoid unnecessary surgery and other elusive methods of treatment employed by other chiropractors which have detrimental side effects. Redmond WA chiropractors will carry out a detailed history and assessment to have a full knowledge of how the individual is being affected by this condition. We check soft tissue and muscle, spinal alignment and fashion out a complete treatment plan to help the patient. However, we also perform spinal manipulation by using the hands to carry out a swift, precise push to the misaligned bones of the vertebral column (spine). Several patients who have undergone Fibromyalgia treatments from us report a substantial reduction of Fibromyalgia and Chronic fatigue symptoms following care by our Redmond chiropractors. ← How Upper Cervical Chiropractic Helps with Migraines and Headaches?